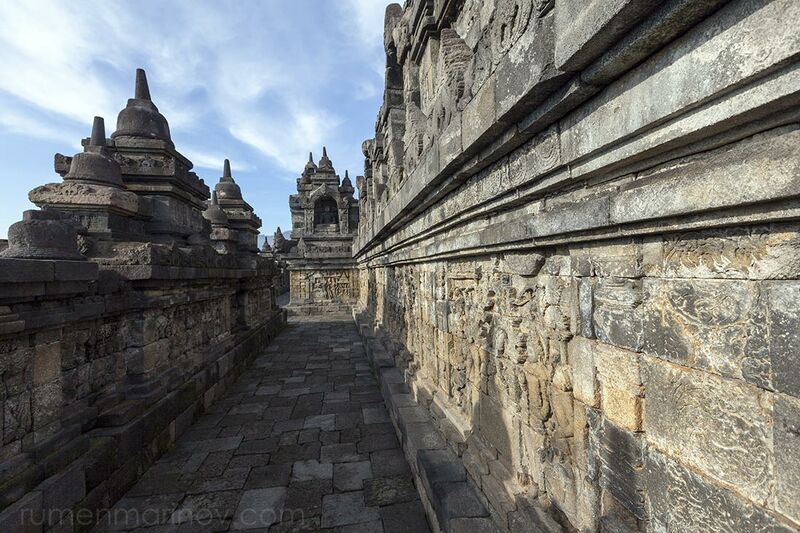 Five o’clock in the morning and the entrance to Borobudur Temple is deserted (I didn’t know it opens at 6). 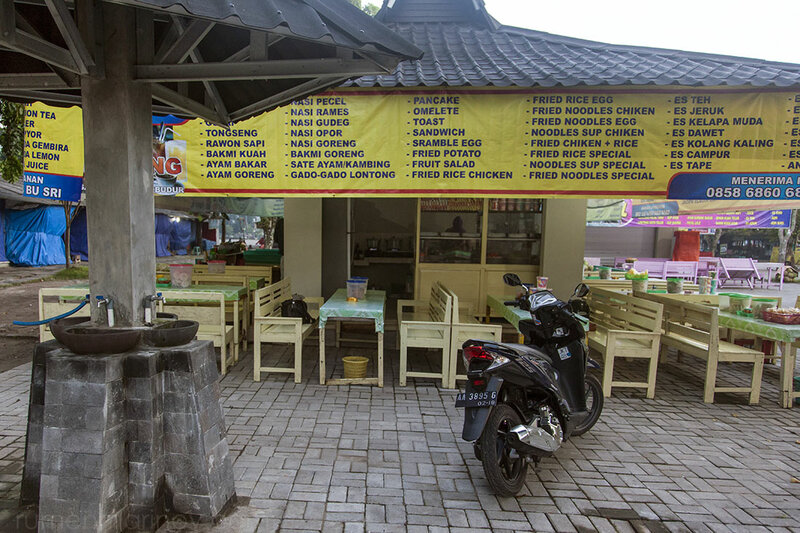 Nothing to worry about – perfect time for soto ayam at one of the nearby warungs. Gosh I love this soup! Then the crowds arrive – lots and lots of tour busses, so I rush to beat them in the que. The temple’s entrance fee for foreigners is 220 000r. Compare to everything else in Indonesia this is grossly overpriced. 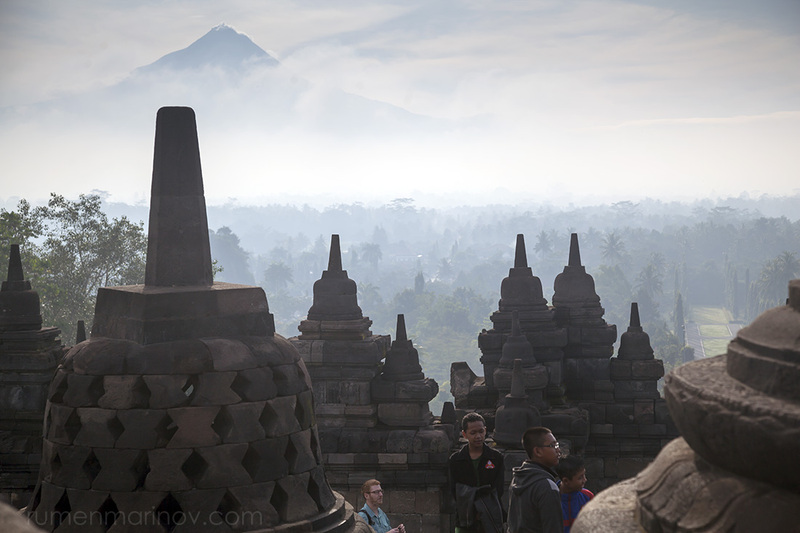 Borobudur Temple is wonderful, but when I pay the money I think it’s not worth it. My consolation is that some of this money might go for the preservation of the monument. Despite the early hour, I find an open warung, serving a variety of local Indonesian dishes, including my favorite chicken soup (soto ayam). 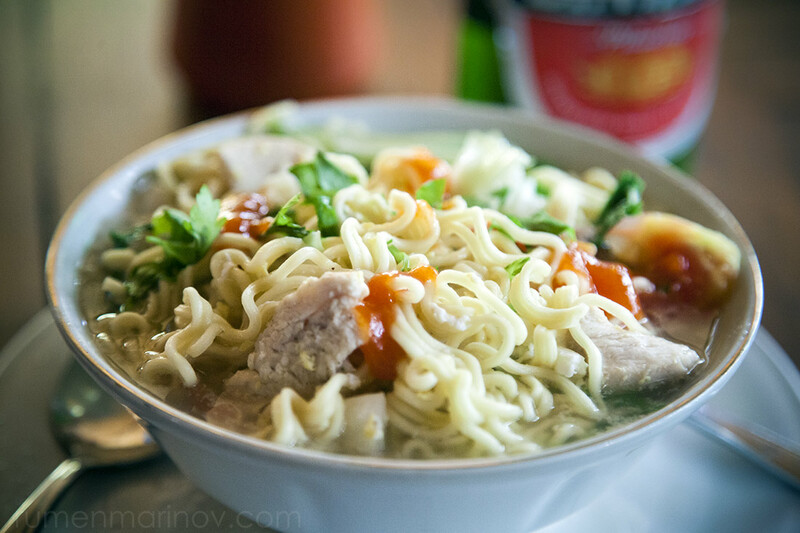 Soto Ayam – there is nothing better for breakfast in Indonesia. With so many tour busses I expect larger crowds, but this early in the morning the number of visitors wandering around the temple is not annoying. Perhaps the tour busses people need some time to get organized. 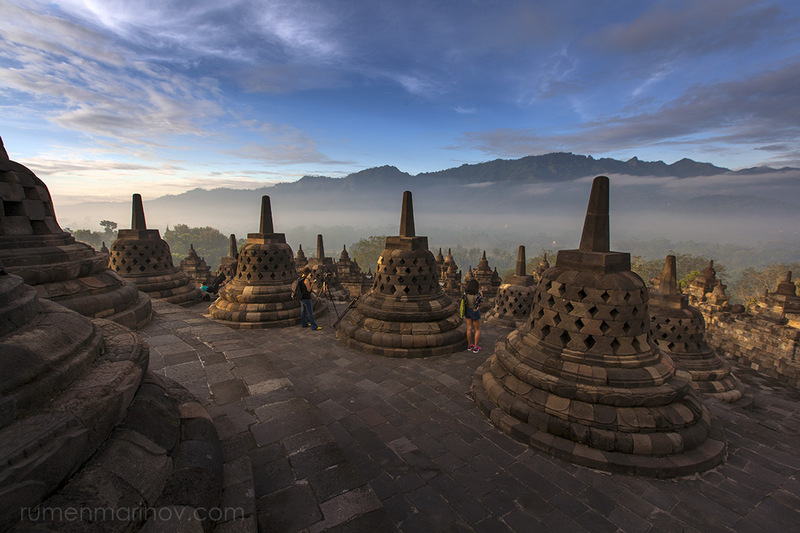 Lots of amateur photographers are making long exposures of the stupas with the misty mountains as a dramatic background. This stretch of time before the sun comes out is truly magical (despite the cliché sound of it). I enjoy every minute walking slowly around the levels, or just sitting with my back resting on the ancient stones. It feels very meditating and now I decide that $22 is worth it. 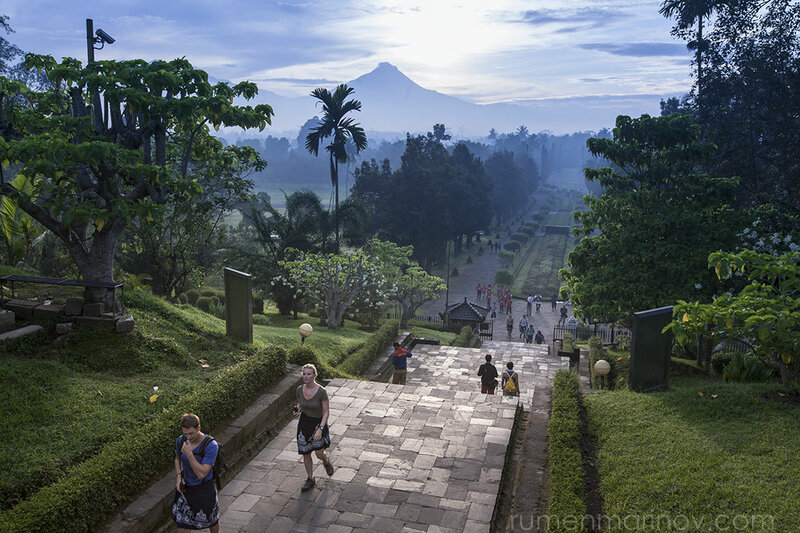 The sun is coming out behind Mt Merapi at Borobudur. 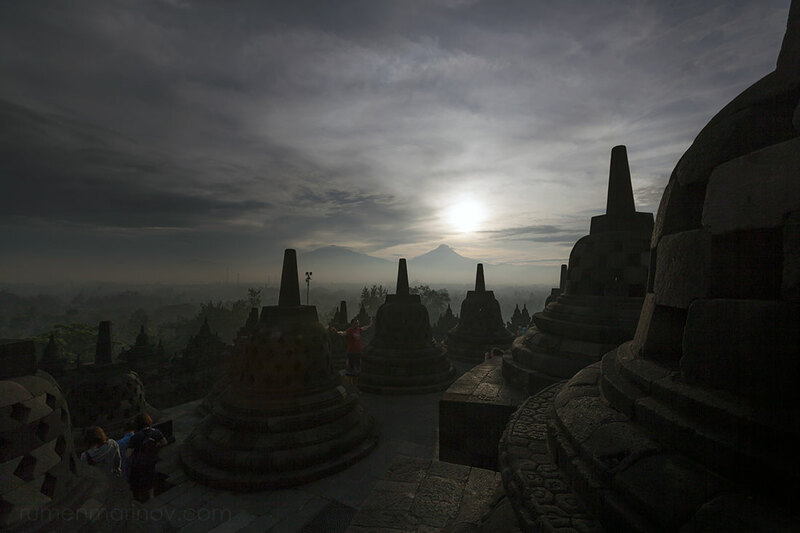 Sunrise at Borobudur Temple. The stupas are still in darkness due to heavy morning fog. 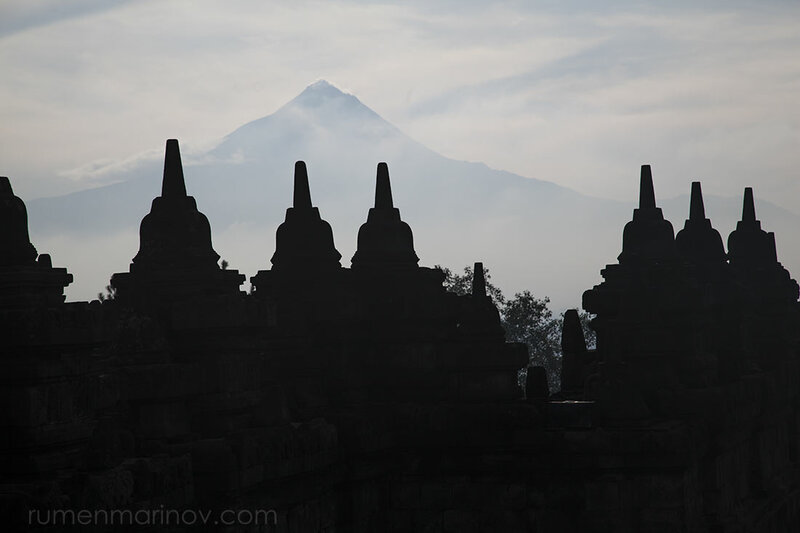 Dark stupas of Borobudur with Mt Merapi in the background. The morning mist is lifting up with the sun. 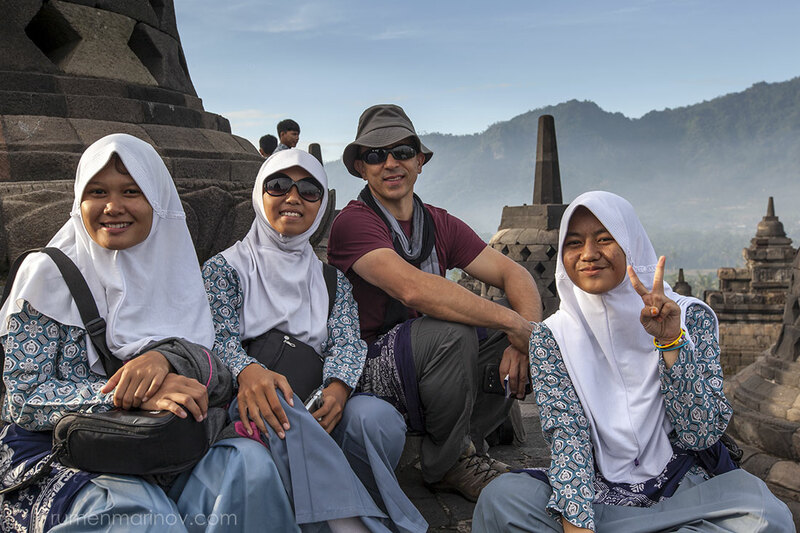 Then of course, the real crowds arrive and I am inevitably accosted by numerous school children and uni students, who consider making a photo with me the most important activity in their life. By now I’ve learn that it is useless trying to convince them that my person is not quite suitable for the purpose, so I oblige smiling, posing with them and sometimes making them to pose for my camera. It becomes kind of fun if you manage to let it go. 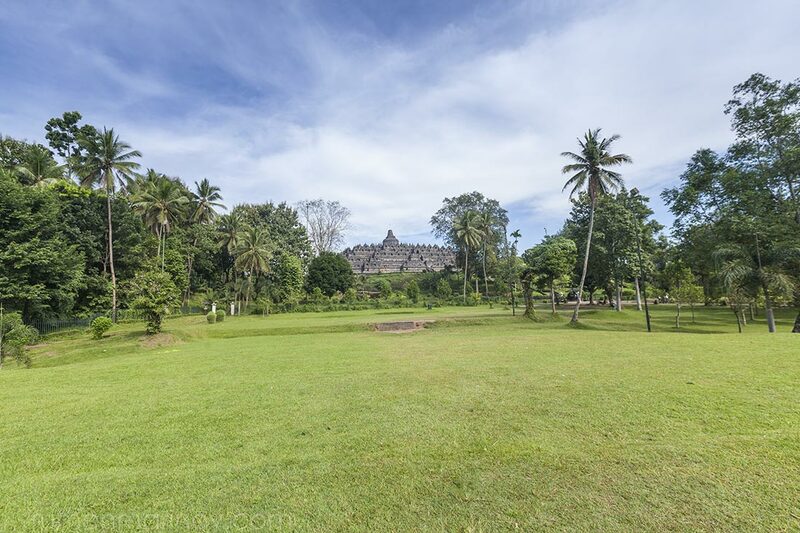 The countryside around Borobudur Temple. The sun now is in full force. I am inevitably asked to be photographed with some school children. 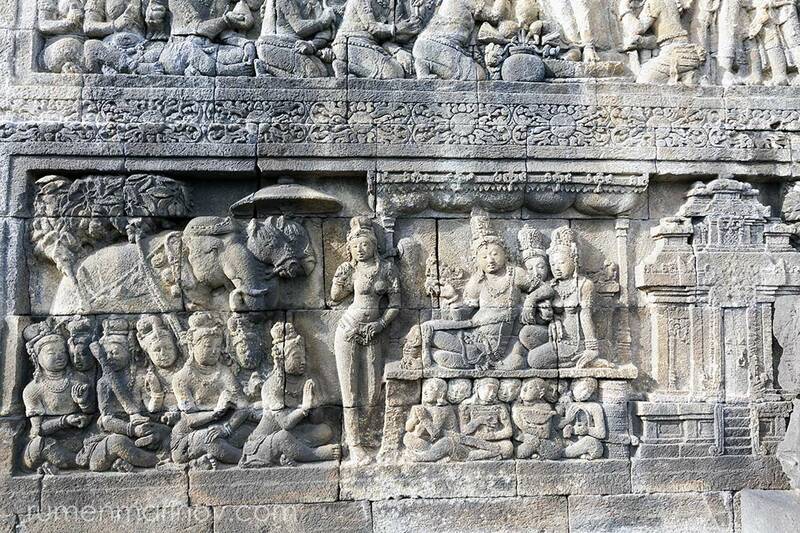 Happy Indonesian children at Borobudur Temple. To escape the photo taking enthusiasts I move to the lower levels, where I find more shade and less people. This is where I meet an old guy with a big fat book under his arm. He walks around slowly, inspects the faded stone carvings that surround the temple and shakes his head knowingly (especially after seeing me to observe him). Apparently the heavy book under his arm is about the stone carvings which detail the story of Buddha’s life and his teachings. All of this information is delivered to me with an air of scholarly superiority. I feel instant dislike for this guy. He is too pushy to demonstrate how knowledgeable he is. Just to annoy him I play the dumber, suggesting that the stone carvings might be telling the classical tale of Ramayana. The old guy heats up pointing out that Buddha doesn’t have anything to do with Ramayana, which is a Hindu story. I say a-a-a, but continue to irritate him, saying that the carvings are quite boring and to me they look pretty much the same – if you see one section, you’ve seen them all. The knowledgeable guy is now offended. He continues to insist that with this book he can read the carvings like an interesting comic book. I say well done to you sir, good onya and bid him good day. We part ways not the best of friends. Soon I will encounter an annoying know-everything old man with a big fat book under his arm. The “comics book” of the annoying know-everything old man, illustrating the life and teachings of Buddha. Contrary to what I say to him, I do find the stone carvings interesting and fascinating. 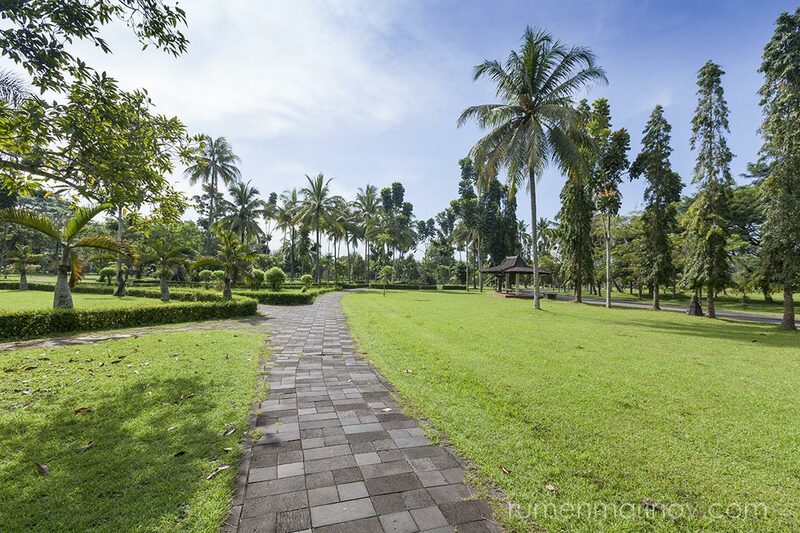 Borobudur grounds are a pleasant place for a stroll, picnic or simply to lye down and relax. 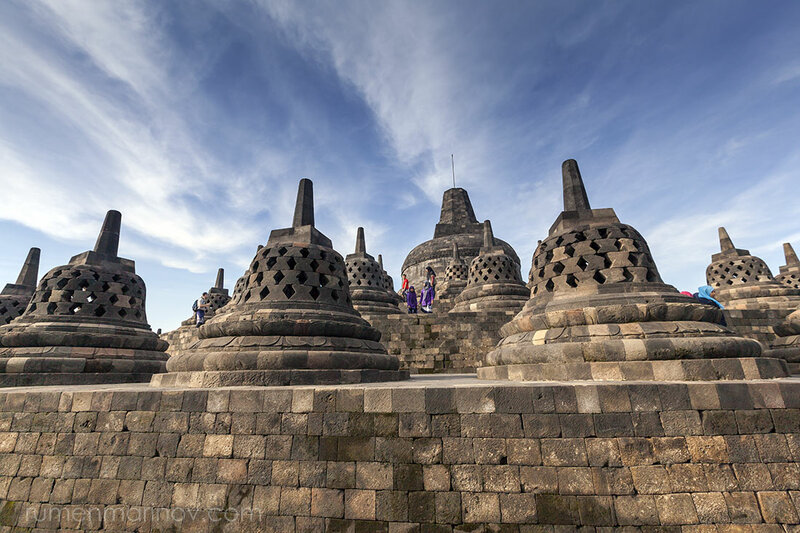 I say goodbye to Borobudur and head back to the hotel for my trip to Jogja. 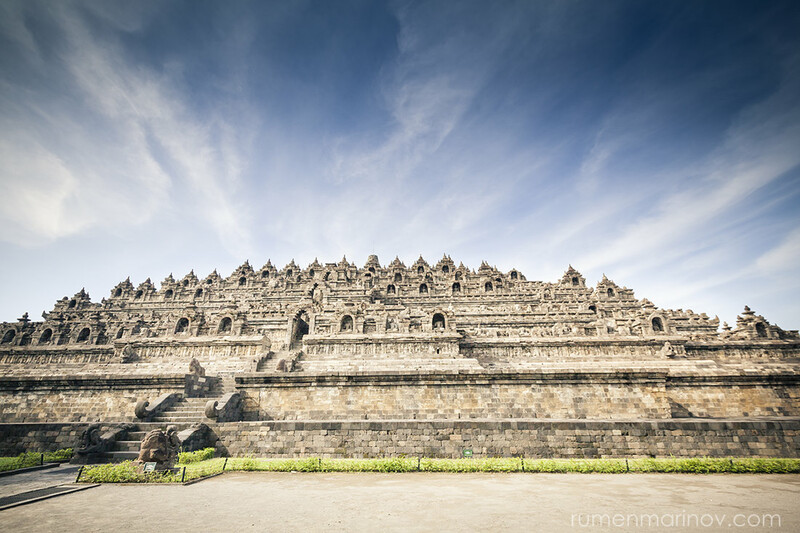 Despite the irritable know everything man, I enjoy my few hours at Borobudur temple immensely. 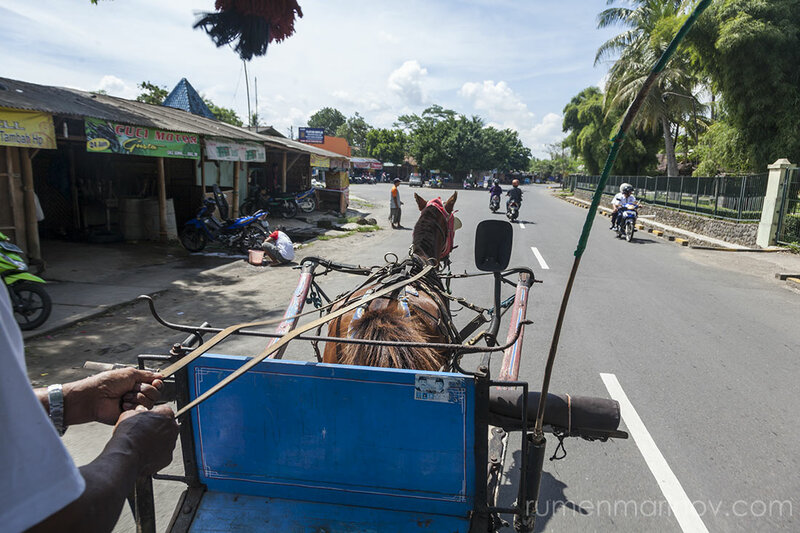 When I’m done, I make my way back to the hotel, grab my bag and jump on one of the horse carts to take me to the bus terminal (10 000r). As luck would have it, the bus for Yogyakarta (Jogja) is about to depart. The next one would be in one hour (not that I wouldn’t mind enjoying another soto ayam at the nearby market). A horse cart is taking me to the bus terminal. In the bus to Jogja nothing interesting happens. 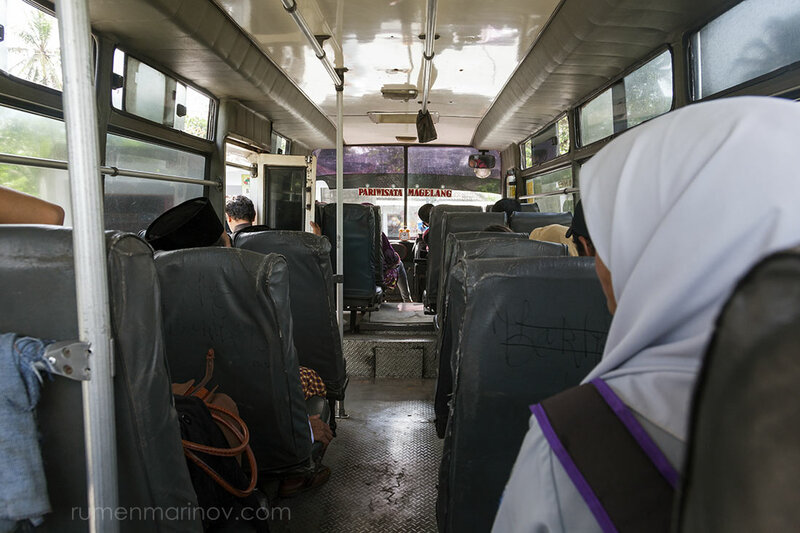 This is a rare sight to see – empty bus in Indonesia. 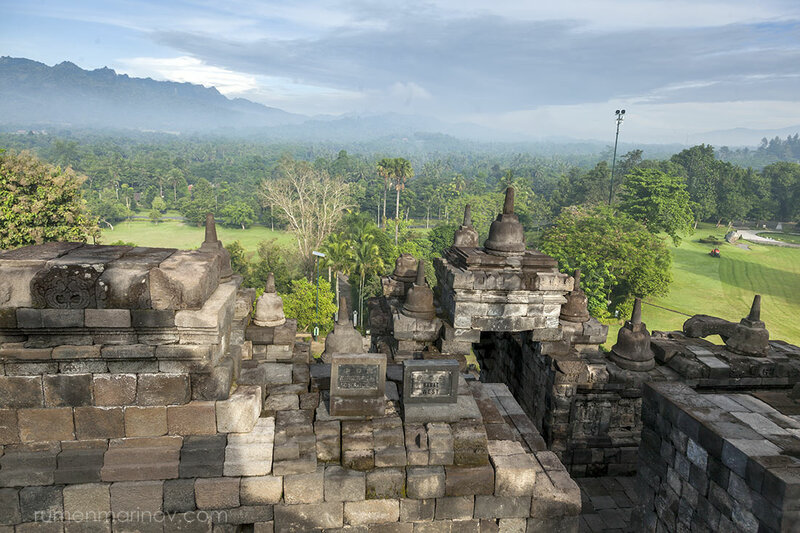 Jogja is not far from Borobudur and the short trip is pretty uneventful. From the bus terminal in Jogja I’m directed to catch a city bus 2B (3 000r). I can get a taxi and pay just a few dollars, but I prefer to travel as the locals do. It takes a while to find the bus stop for bus 2B. The bus stop for bus 2B has a bizarrely looking glassed area for the waiting passengers. It is stifling hot in there and I am a bit uncomfortable to feel trapped in such confinement with dozens of eyes staring at me, but not for long – bus 2B arrives and the people surge forward to secure a more comfortable spot. I manage to get a half person space where I balance on one leg above a bag occupied by three chickens. 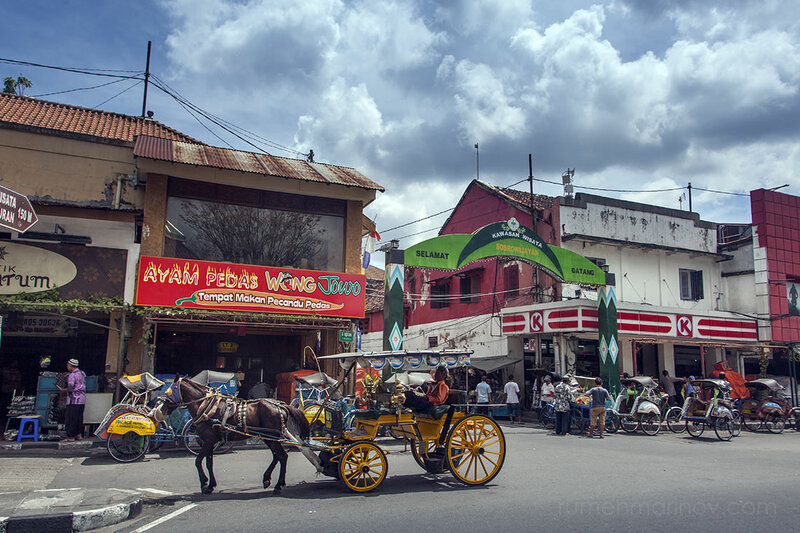 Jogja is one massive traffic jam; it takes forever to reach Malioboro Street, in the hearth of the city. 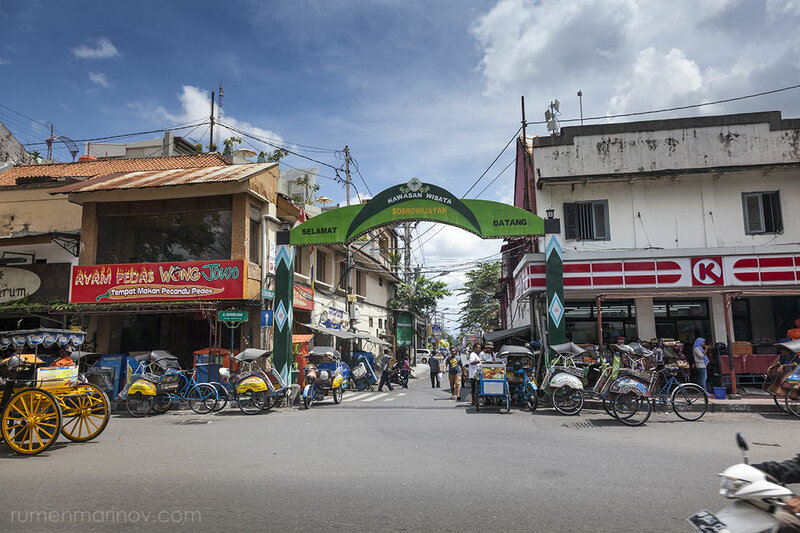 I get off the bus and quickly find Sosrowijayan Street, which is full of budget places. 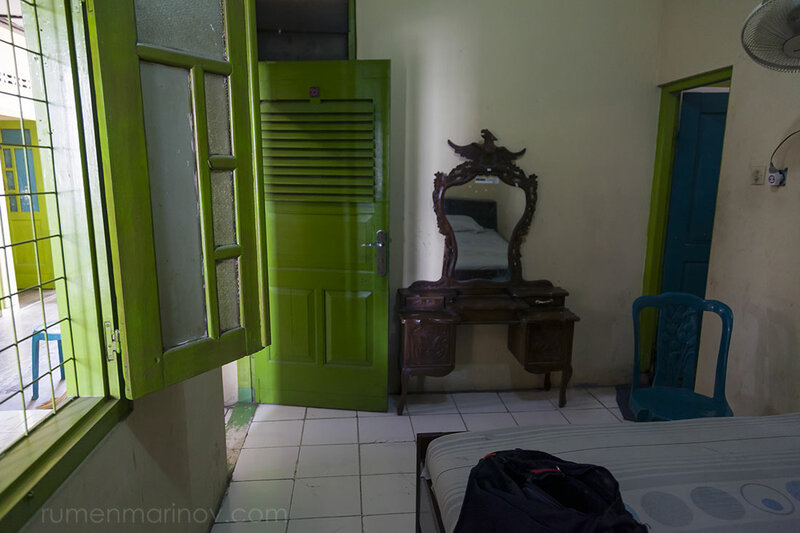 Here I don’t search long; in fact, I decide to stay in the first guesthouse I encounter called Losmen Anugerah Jaya. I am always on the lookout for interesting joints, serving local food. 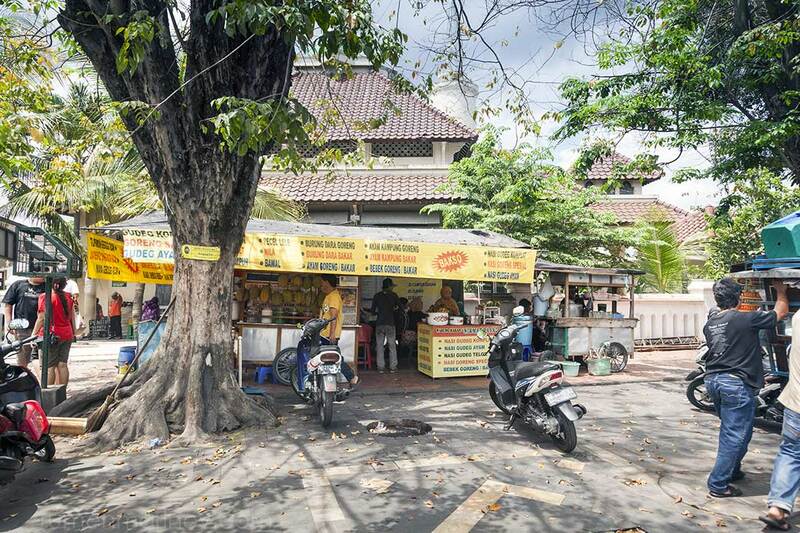 Getting off the bus at Malioboro Street I make a mental note of this warung as a potential dining place. I find Sosrowijayan Street straight away. It is just there. My room at Losmen Anugerah Jaya. For only 10 dollars it seems OK, but later I’ll discover it is very dirty and also the quietness and peacefulness of the place at the moment is misleading. For the rest of the evening I explore Malioboro Street which is wonderful – full of people, street musicians, vendors, lights and colors. One side is occupied by the clothes vendors, the other – by the food stalls. Perfect for me. Back at Losmen Anugerah Jaya I discover that I am no longer the only guest. A large group of men have occupied all the rooms and corridors of the guesthouse. They must be from one village, because they have taken their communal life out of their rooms and on the chairs in front of my room. The men sit there, smoke, drink and talk loudly well into the small hours of the new day. It is impossible to sleep and alone I don’t stand a chance to break their jolly party. I must escape this horrible place Losmen Anugerah Jaya! Tomorrow I will explore Jogja. Excellent photos. Sounds like a restless night in the hotel!